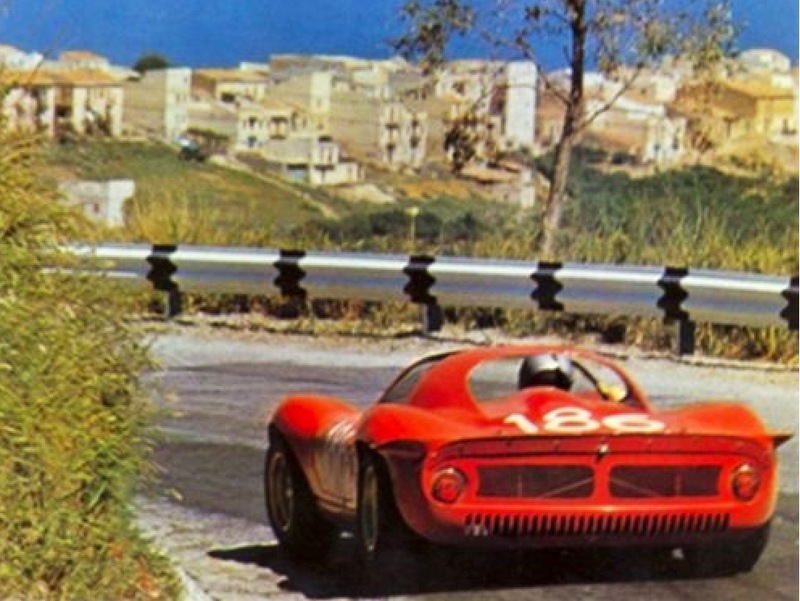 Based on an unused, unraced Ferrari 206 S chassis, ‘206S-034’, later renumbered ‘10523’. 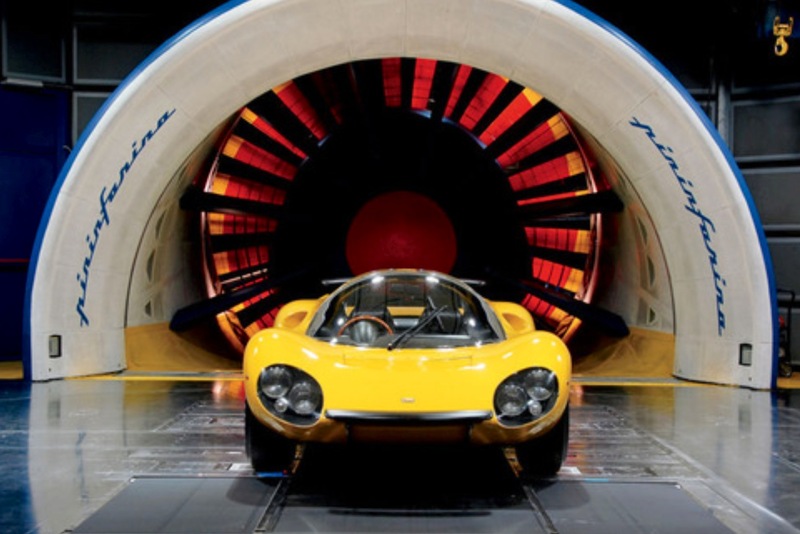 Pininfarina unveiled ‘The Yellow Dino’ at the 1967 Frankfurt Motor Show, after many years in ‘Farinas’ own collection it is now in private hands in the US. 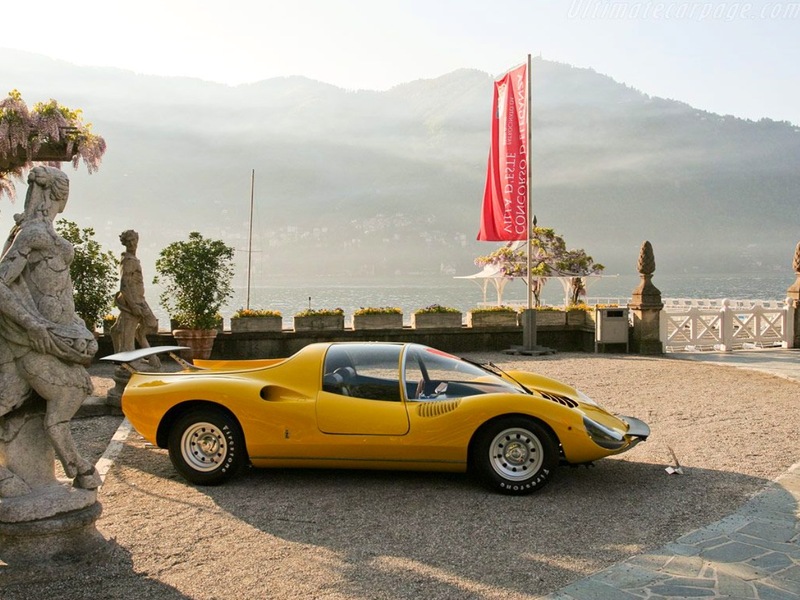 Martin was 23 when he designed the car, his CV also includes the Ferrari Modulo, and Alfa 33 Roadster concept. He recalls, ‘i used to work on the 1:10 scale model on my house’s small balcony, spreading wood shavings in the underneath courtyard…i was working for Pininfarina secretly for contractual reasons’. 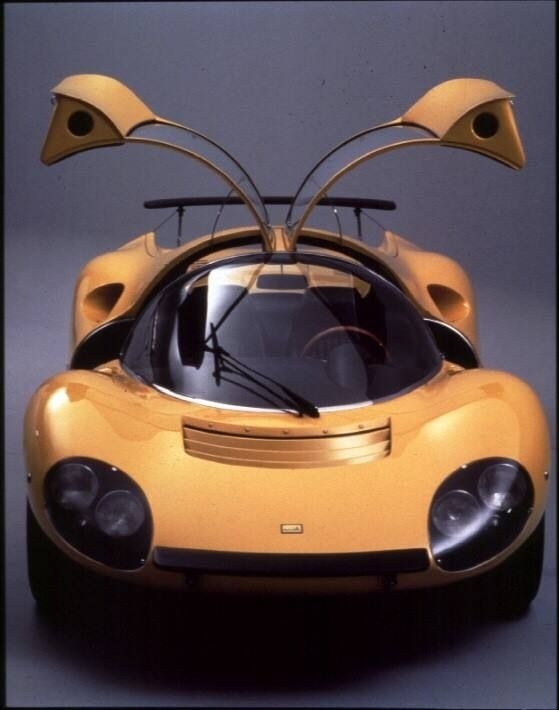 The final shape was created in aluminium, two prominent wings were added late in the project by Pininfarina, Paolo said, ‘they were added only at the last minute, since the management thought the design had to be enriched. I was always against it, anyway this was the final decision’. Its a pity, the wings are ‘imposed’ on an otherwise fluid combination of compound curves. The car was widely hailed one of the ‘show cars’ of the decade all the same. Whilst chassis ‘206S-034’ was unraced the car is fitted with an ex-Le Mans 12 valve race engine which still has its ACO affixed scrutineering tags. Circa 218BHP @ 9000 RPM. 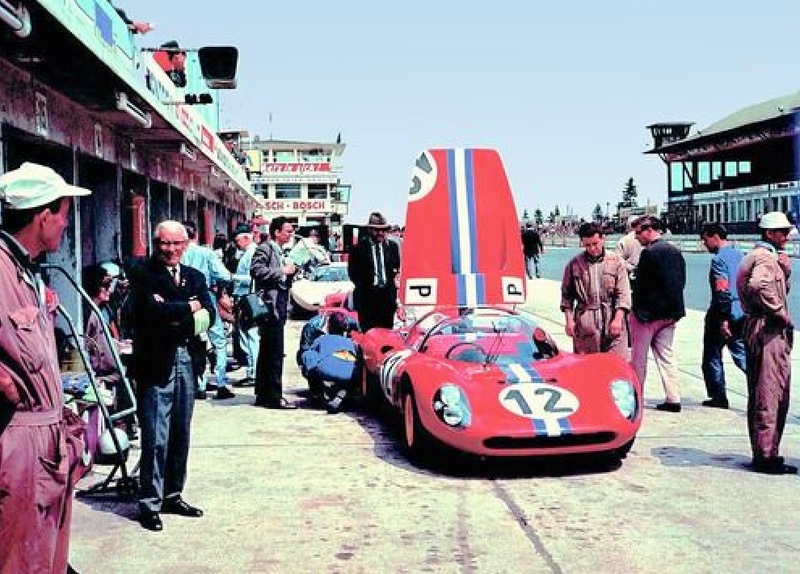 Ferrari showed its 1966 World Sportscar Championship contenders, the P3 4 litre V12 Prototype, and 206 S, 2 litre V6 Sports Car at the 1965 Paris Auto Show. 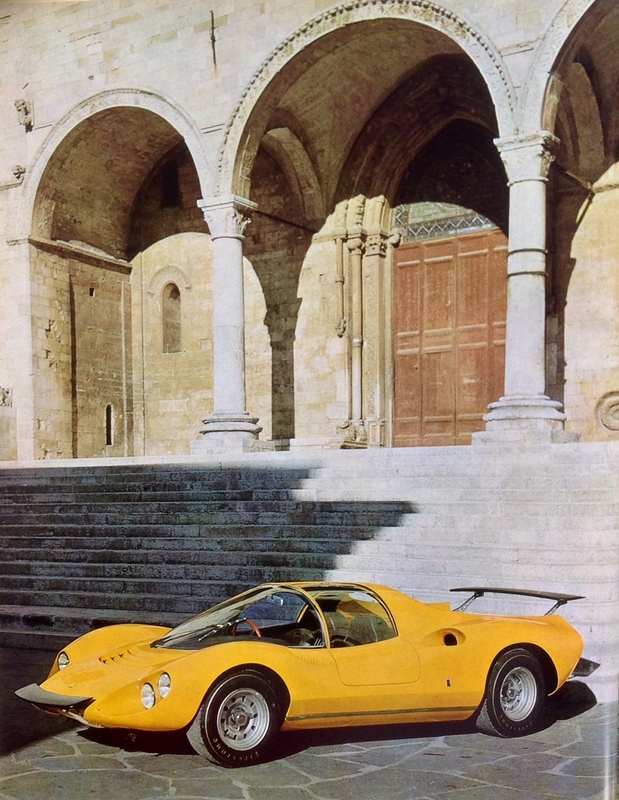 To be eligible to race as a Sports Car, Ferrari had to produce a minimum of 50 cars, due to industrial troubles in Italy at the time only 18 were produced, the 206S was therefore forced to compete against much more powerful cars. It still sold well to privateers and was entered on occasion as a ‘Works Car’, the fastest 2 litre car of its day. 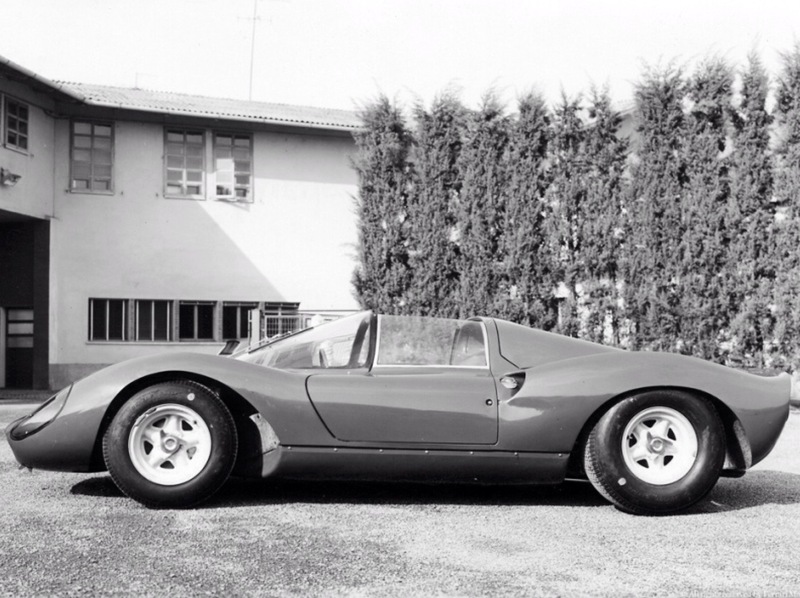 It was powered by variants of the Jano designed V6 which won the F1 Drivers Championship for Mike Hawthorn in 1958. Engine capacity was 1987cc, it was fed by Weber carburetors and later Lucas fuel injection. 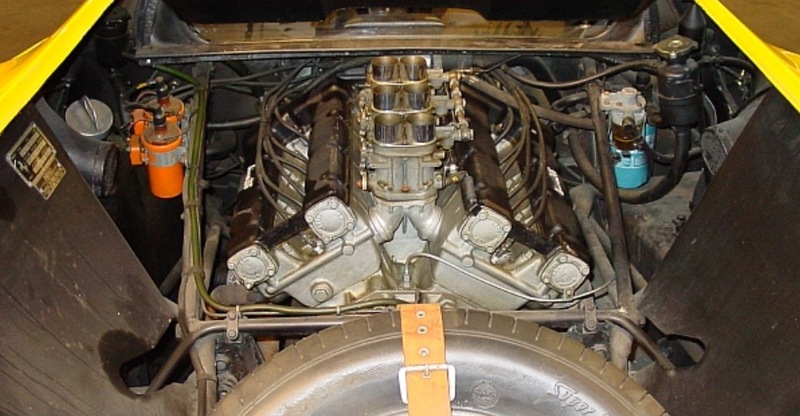 2, 3 and 4 valve heads were developed, with both single and twin-plugs, the engine produced circa 218BHP @ 9000RPM. 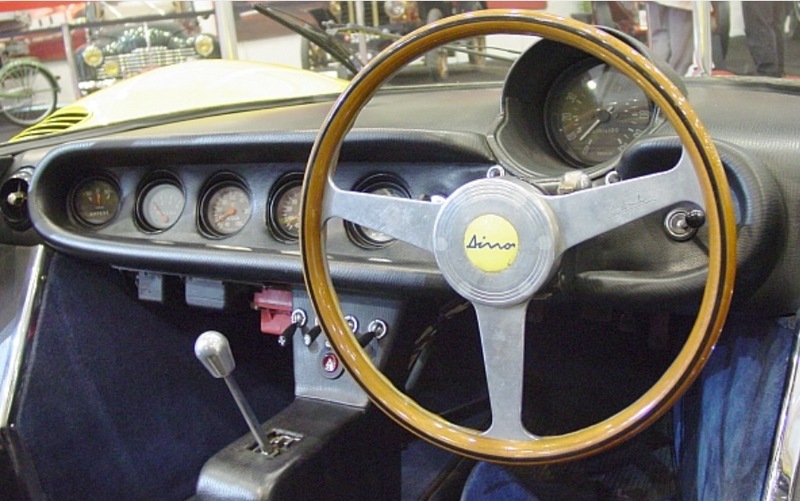 A 5 speed gearbox was utilised, the chassis was Ferraris’ typical space frame of the time with welded on aluminium panels creating a ‘semi-monocoque’ structure. Some exterior pnaels were fibreglass. Suspension comprised wishbones and coil spring/damper units at the front, and lower inverted wishbone,2 upper links and 1 radius rod, again with coil spring, Koni shocks at both front and rear. Disc brakes were by Girling. 7.5 and 8.5 inch wide (F/Rear) Campagnolo wheels were fitted, the whole lot weighing 654Kg. Very light! 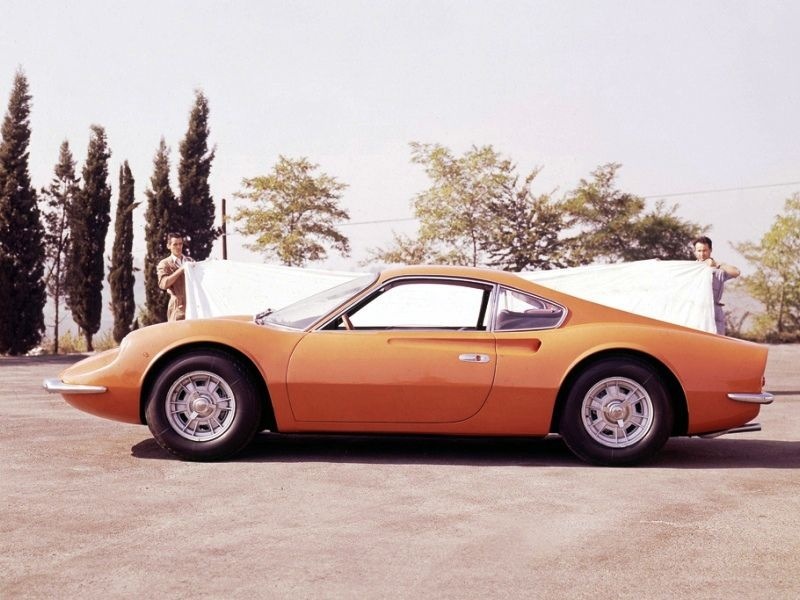 The stunning cars were styled either in-house, or by Piero Drogo, depending on the source document, the bodies built by Piero Drogos ‘Carozzeria Sports Cars’ in Modena. The shape is ‘mouth-watering’, the production 206/246GT road cars clearly took their styling from these cars. Anyone know who the beautiful model is? She is a very tidy little unit Vino, no name or address details sadly! Too funny- she is a most attractive young missy, I wrote the article 4 years ago and she still occasionally pops into my head too. My own girlfriend is Northern Italian, from a little village near Montebelluna, they are hard to beat if you ask me? !